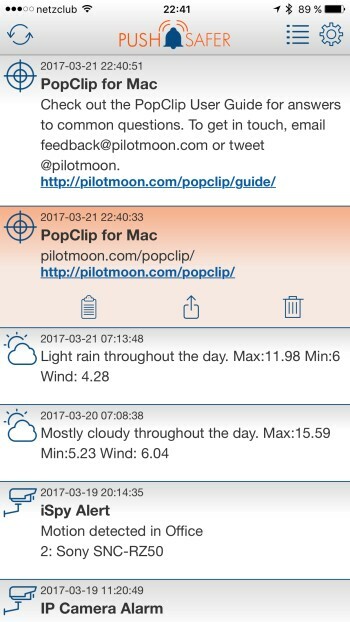 A Extension for PopClip > Select text or urls and to send to Pushsafer. 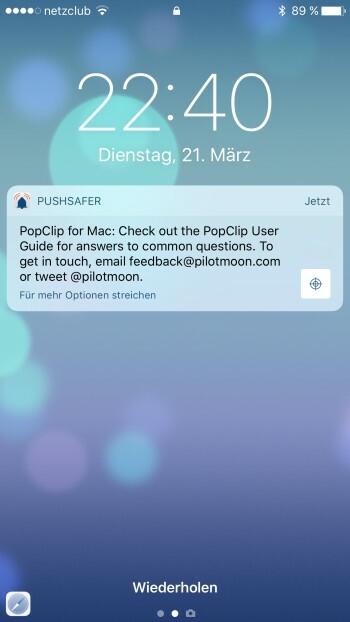 Edit pushsafer.sh in the popclipext directory and enter your Private or Alias key. Set up your notification by changing the following params.